Although regular Dealer plates are still in use today, since the 1990s they have been mostly supplanted by cardboard or paper Demonstration Permits bearing the VIN of a specific vehicle to which it is assigned. These permits have the advantage of not having to be moved from one vehicle to another as demonstration drives are taken by prospective buyers. 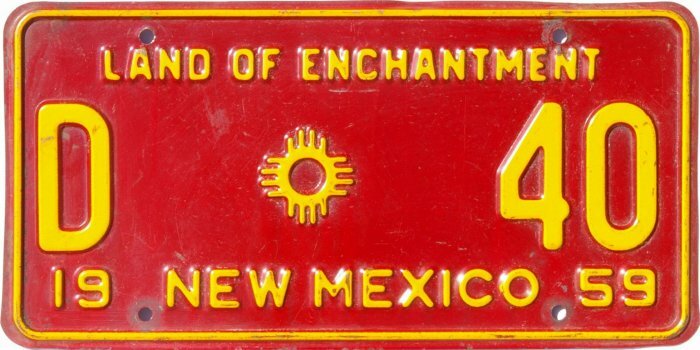 Dealer Manufacturer plates in New Mexico were issued to manufacturers of buses and trailers. (The state did not have automobile manufacturers). New Mexico Dealer Manufacturer plates are known to exist from the early 1970's and have always had the DM prefix. Since 1975 they have had the format DM*1234, where “*” is the zia symbol. We would like to photograph additional plates of this type for inclusion here. If you have any, please contact us! 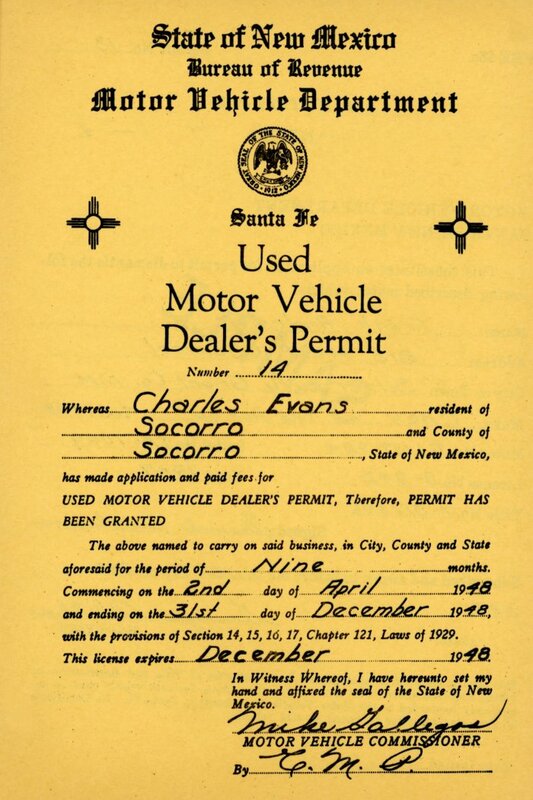 2018 Demonstration Permit courtesy Bravo Chevrolet, Las Cruces, NM. All photos by Bill Johnston.